STOCKHOLM TRIATHLON 2018 WAS A SUCCESS! ​WELCOME BACK 25th AUGUST 2019. Stockholm Triathlon is arranged in the central parts of town. The competition's hub with start, finish and meeting places is located at the magnificent city hall on Kungsholmen. The swimming takes place in Riddarfjärden, the bike course is along Norr Mälarstrand, over Västerbron and Söder Mälarstrand. The run takes place towards the city, over beautiful Norrbro and past the Castle. Welcome back to Stockholm Triathlon 2019! 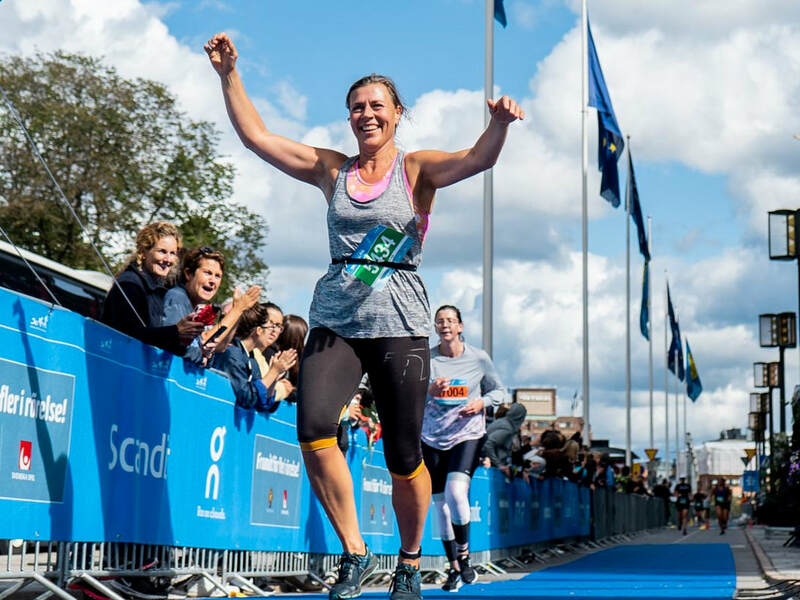 Secure your spot at Stockholm Triathlon for only SEK 750 NOW! We are approaching the next price increase, so be sure to secure your spot at this summer's triathlon party for only SEK 750 before we raise the price. We're looking forward to see you on the starting line! We offer several different distances, from the beginner-friendly super sprint to the slightly more challenging olympic variant. If you are going to make your very first triathlon start, you are extra welcome. We will be happy to help you along the way, for example through try-triathlon events during the summer. WANT TO STAY OVER IN STOCKHOLM? Take the whole family to Stockholm and book accommodation at Scandic. By providing D508199353 you get access to sports prices. Visit Scandic Hotels to find a hotel that suits you. Visit Stockholm for more tips on activities in Stockholm. VI ÄR SOCIALA, FÖLJ OSS! Stockholm Triathlon arrangeras av Svenska Triathlonförbundet tillsammans med lokala idrottsföreningar.